Axiom Low Profile Blank 2 Gang is rated 4.7 out of 5 by 7. Rated 4 out of 5 by daveuk from good price, looks fine once fitted looks far better than the cheap standard "PVC Blank Plate" which I used initially and had to take off again and replace with these. Rated 5 out of 5 by moggieSR from A stylish product. 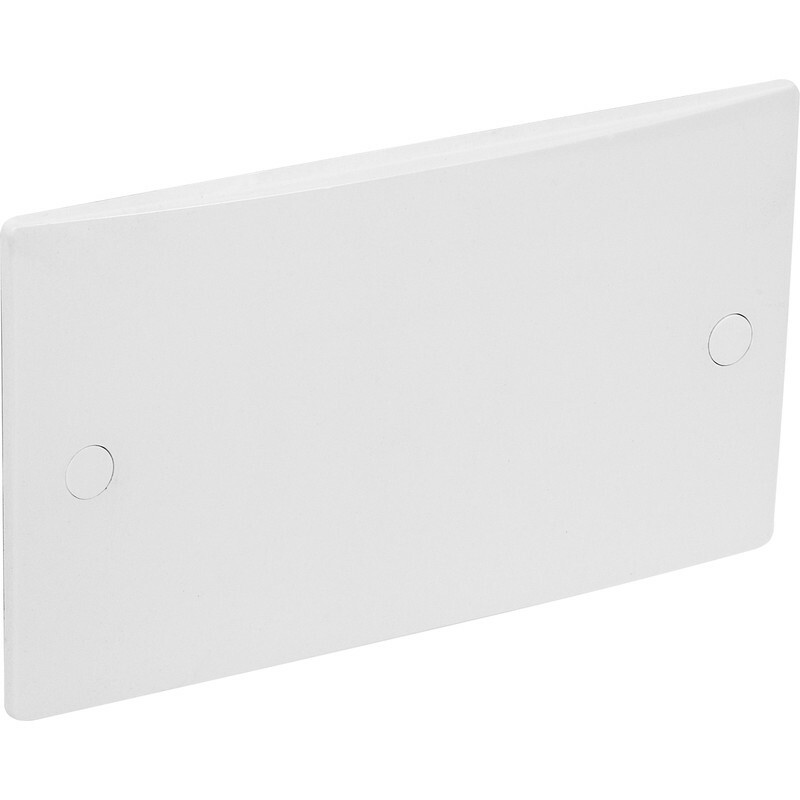 Visible electrical blank-off plates tend to be unsightly, but this item with its graceful curved surface and thin side-edges is in a different league. Quite elegant. Rated 4 out of 5 by BangingPipes from good Good price, looks nice, also didn't break when I screwed it in! Rated 5 out of 5 by ecky from quality of products Toolstation gives good products at best prices. they are simply the best suppliers for everyday electrical products! Rated 5 out of 5 by Tingara from Works for us We moved a light switch and had an empty box in the wall. This plate covers the hole brilliantly. It'll stay there until the decorator closes the hole.